The West Coast have celebrated a rare rugby league win over Canterbury after the Bulls were beaten by two points at Greymouth on Saturday. West Coast coach Phil Campbell and Canterbury counterpart Brent Stuart both recalled playing for the Coast in a 20-14 win over Canterbury in 1989 before Stuart crossed the Alps. Campbell said the Coast also beat a Canterbury XIII second-tier team in the mid-1990s, but Saturday's 24-22 triumph at Wingham Park was "our first win over a full Canterbury team since '89 in Frank Endacott's first year [as Canterbury coach]". "We thought we had a reasonable side this year," Campbell said. "Stuey rang me during the week and said he was rebuilding his team a wee bit. They usually give us a couple of loan players... But I told him we'd go it on our own this year and give it a bit of a crack." The Coast team included five players who will be playing Heartland championship rugby union later this month. Their decision to play against the Bulls led to the West Coast Rugby Union cancelling a scheduled warm-up game in Motueka. West Coast Rugby League president Peter Kerridge said he would now dust off the Anisy Shield first played for between the provinces since the 1930s and put it on public display. The Bulls, who used the match as a trial for Sunday's national provincial championships campaign opener against arch-rival Auckland, were without some injured front liners, including former Warrior Corey Lawrie. But a core of the starting team were representative regulars last year. West Coast standoff half Josh Cornish used his booming boot well with the breeze at his back in the first half. Coast led 16-12 at halftime but "just had to grind it out" through determined defence into the wind in the second spell, Campbell said. Frontrowers Peter Nicholls, Nik Davies and Lance McEwan and second rower James Ward stood out for West Coast and brothers Layne and Cole Green, both former Canterbury club players, added experience. Centre Blair Sims scored two tries and Cornish, former Canterbury Bulls back Lucas Tamakaha, Dean Coghlan and Peter Te Rakau also dotted down. 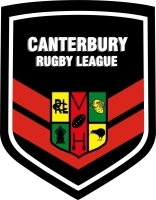 Andre October grabbed two tries for Canterbury and Tonga Mounga and Al Walsh also got on the scoresheet. However, some of Canterbury's new recruits did impress, including frontrowers Alex Todd, Lee Toomalatai and Mike Kingston and wing-fullback Jermahl Carroll. Stuart said there "could be a few surprises" tomorrow night when he names his squad to play Auckland. SCORERS West Coast 24 (Blair Sims 2, Dean Coghlan, Peter Te Rakau, Lucas Tamakaha tries; Josh Cornish 2 goals) beat Canterbury 22 (Andre October 2, Tonga Mounga, Allan Walsh tries; Simon Mounga 3 goals). HT: 16-12.